Help!... It's the Funko Pop Hair Bear Bunch! 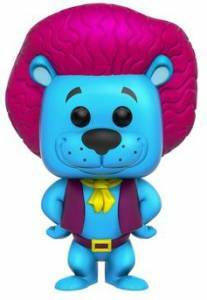 Honoring the short-lived series, the vinyl set features exclusive options for the Saturday morning cartoon characters. 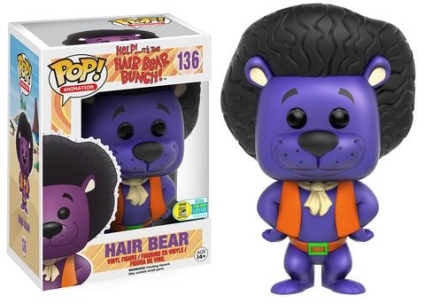 As the leader of the Wonderland Zoo crew, Hair Bear has the most coverage with blue, brown and purple versions. These three color variations are 2016 San Diego Comic-Con exclusives with each release limited to just 750 pieces. In addition, Hair Bear yellow is issued through Funko-Shop with 1,000 vinyls produced. 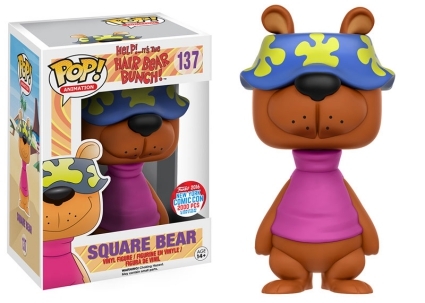 Shop for Pop Hair Bear Bunch Figures on Amazon. There are also 2016 New York Comic Con choices included in the Funko Pop Hair Bear Bunch lineup. 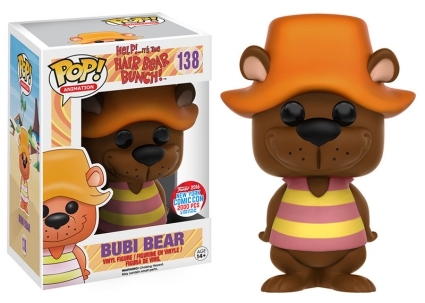 Square Bear wears a floppy hat that covers his eyes and rests just above his nose, while Bubi Bear opts for a larger hat that is orange and does not obstruct his face. Part of Pop! Animation, Help!... It's the Hair Bear Bunch! lasted just one season (1971-72) on CBS, but continued to earn fans in syndication across multiple networks over the years. 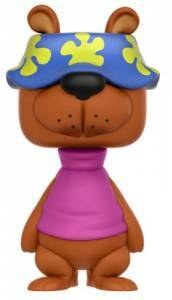 The series is one of many cartoon options from the Hanna-Barbera set. 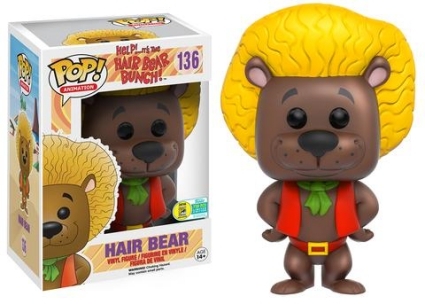 See additional details about Hair Bear Bunch figures with our other Funko guides.